You’ll never feel crowded in the comfortable social spaces of our bars, restaurants, lounges, Casino and Cabaret. Nor will you feel like a sardine jammed in around the pool, where our attentive staff is always ready to offer a complimentary bottled water, soft drink or fresh towel. Staterooms feature modern amenities, furnishings, and European linens. And one of the greatest features of this ship is the large number of staterooms with verandas. 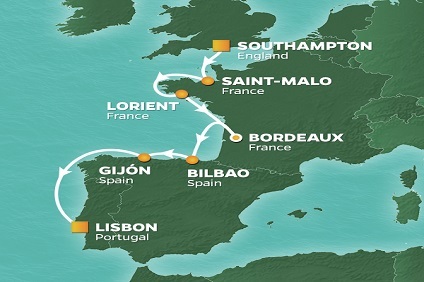 8 Night Cruise sailing from Lisbon to Barcelona aboard Azamara Journey. 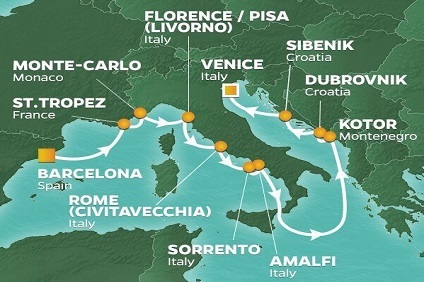 7 Night Cruise sailing from Barcelona to Rome aboard Azamara Journey. 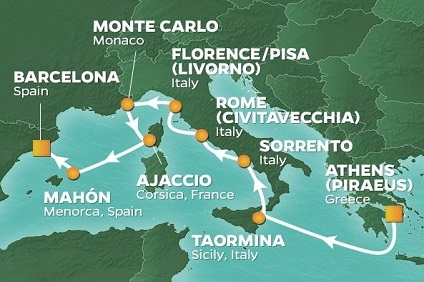 10 Night Cruise sailing from Rome to Barcelona aboard Azamara Journey. 14 Night Cruise sailing from Barcelona to Greenwich aboard Azamara Journey. 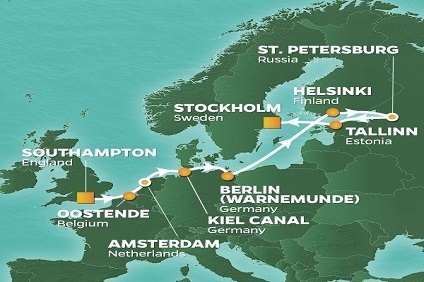 11 Night Cruise sailing from Greenwich to Stockholm aboard Azamara Journey. 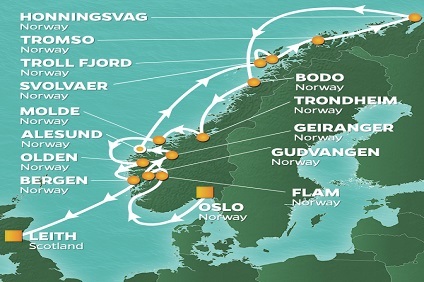 9 Night Cruise sailing from Stockholm to Oslo aboard Azamara Journey. 16 Night Cruise sailing from Oslo to Leith aboard Azamara Journey. 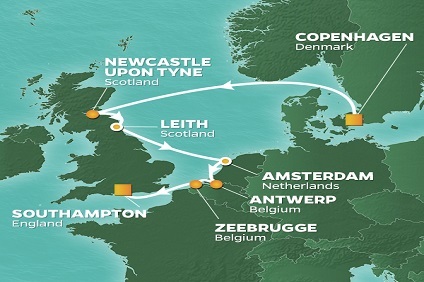 12 Night Cruise sailing from Leith to Southampton aboard Azamara Journey. 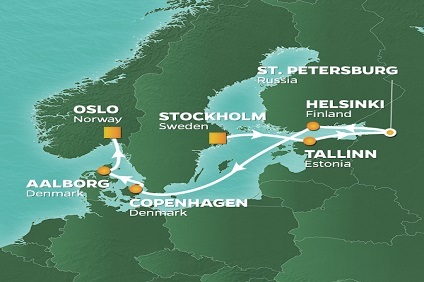 12 Night Cruise sailing from Southampton to Stockholm aboard Azamara Journey. 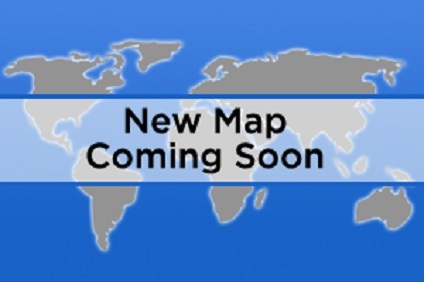 10 Night Cruise sailing from Copenhagen to Southampton aboard Azamara Journey. 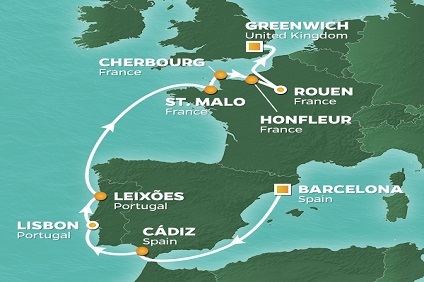 9 Night Cruise sailing from Southampton to Lisbon aboard Azamara Journey. Huge Savings on Selected Departures - Book Before 30 April 2019! 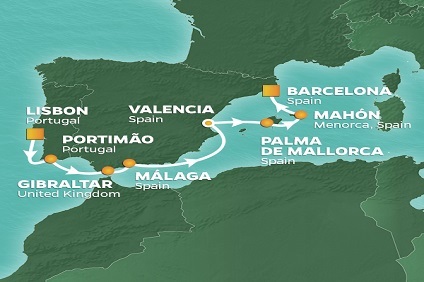 9 Night Cruise sailing from Lisbon to Barcelona aboard Azamara Journey. 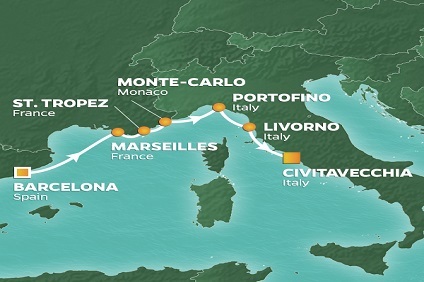 14 Night Cruise & Stay Explore France, Monte Carlo & Milan Cruise onboard Azamara Journey from Barcelona to Monte Carlo including 4-star stays in Barcelona, Monte Carlo & Milan PLUS Urban Barcelona Tapas Tour & Lake Como Bellagio Day Tour! 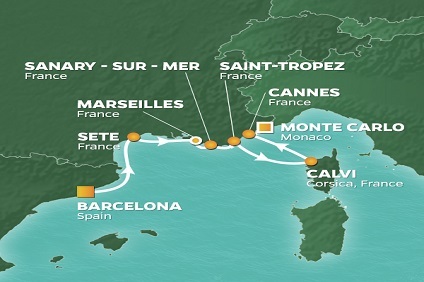 7 Night Cruise sailing from Barcelona to Monte Carlo aboard Azamara Journey. 12 Night Cruise sailing from Barcelona to Venice aboard Azamara Journey. 9 Night Cruise sailing from Venice to Athens aboard Azamara Journey. 9 Night Cruise sailing from Athens to Barcelona aboard Azamara Journey. 16 Night Cruise sailing from Barcelona to Miami aboard Azamara Journey. Club Spa Suite Newly built suites in 2016 with an elegant organic décor. Two lower beds convertible to one queen size bed. Spacious glass-enclosed bathtub and separate rain shower. Comfortable sitting area with 55” flat-screen television. In-room spa music, floor-to-ceiling sliding glass doors, veranda and refrigerator with mini-bar. Thermostat-controlled air conditioner, direct-dial telephone with voice mail, writing desk, in-room safe, and hand-held hair dryer. (414 square feet and veranda 40 square feet). All Azamara Club Cruises Suites include: English Butler service. Priority check-in and departure and unpacking and packing of luggage. Complimentary garment pressing for two items welcome sparkling wine and fruit basket, daily savories between 4-6 pm, in-suite afternoon tea service, in-suite dining from restaurant menus for breakfast, lunch and dinner. Complimentary seating throughout the voyage in specialty dining restaurants. Opportunity to book in-suite spa services (addtional charges may apply). One 375 mL bottle each of Stolichnaya Vodka, Bacardi Gold Rum, Bombay Sapphire Gin, and Johnnie Walker Red Label Scotch, plus cranberry and orange juice.